On offer here is a wonderful detached villa for sale in the highly desirable residential area of Ciudad Quesada  Costa Blanca South. The villa occupies a good-size corner plot which boasts: a private swimming pool, outdoor dining/BBQ areas, several patios and terraces, along with a wonderful Chill-Out zone. The accommodation is made up of: 2 double bedrooms, a good-size family bathroom, open plan lounge-diner, well-appointed kitchen with plenty of storage, plus a covered and glazed patio which doubles up as a secondary lounge. At ground level there is a larger than average underbuild / storage room. The owners currently utilise this area and have created a bedroom, seating area, home office along with a bathroom. There is also a large rooftop solarium which offers views down over the neighbourhood and out towards the Mediterranean Sea! Offered partly furnished  this wonderful VILLAGOLF style property would be perfect for both holidaying and full-time living alike. 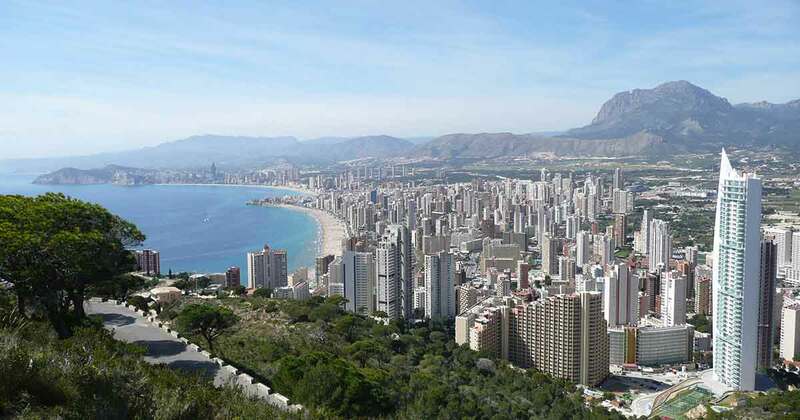 The area of Ciudad Quesada makes up part of Rojales, in the Southern province of Alicante. It is located 6km from the Mediterranean Sea and 8 km north from Torrevieja. It is close to the villages of Rojales, Benijofar, Benimar, Formentera del Segura, etc. In 1970, an entrepreneur called Justo Ciudad Quesada decided to start his own town and he built Ciudad Quesada. The urbanisation grew and nowadays it is considered as a real Spanish town. Ciudad Quesada is a popular area where many people live the whole year round. This area offers a great amount of services and amenities such as shops, restaurants, bars and much more. Ciudad Quesada also offers a golf course and aqua park. The views from Ciudad Quesada are truly wonderful, such as mountains, countryside and the salt lakes. Only a few minutes drive you can reach the blue flag beaches of Guardamar del Segura, La Mata and Torrevieja. It is interesting to know that Ciudad Quesada has its own golf course called La Marquesa golf and country club. Also near you can find the golf courses of La Finca Golf (in Algorfa), Royal Campoamor and Las Ramblas Golf (both in Campoamor). Ciudad Quesada is located approximately 38 minutes driving to Alicante airport and around 35 minutes to Murcia-San Javier airport. Nearby places of interest are the areas of Elche (famous for its palms), or going south to enjoy the beaches of La Manga could be a good idea. If you want history, the historic city of Murcia is not far (around 45 minutes driving). You are enquiring about 3 bedroom house / villa for sale in Ciudad Quesada, Costa Blanca and your enquiry will be sent directly to The Property Shop. Welcome to the property shop Spain. We are a small but very experienced family owned and operated real estate business. We can offer you a comprehensive choice of properties both new and resale along Spain's wonderful coast lines and a wide selection of inland homes. We can also offer the full range of financial, rental, and property management services that you may require for your home purchase. We are big enough to matter but small enough to care! This is a property advertisement provided and maintained by The Property Shop and does not constitute property particulars. Whilst we require advertisers to act with best practice and provide accurate information, we can only publish advertisements in good faith and have not verified any claims or statements or inspected any of the properties, locations or opportunities promoted. propertyandvillasinspain.com does not own or control and is not responsible for the properties, opportunities, website content, products or services provided or promoted by third parties and makes no warranties or representations as to the accuracy, completeness, legality, performance or suitability of any of the foregoing. We therefore accept no liability arising from any reliance made by any reader or person to whom this information is made available to. You must perform your own research and seek independent professional advice before making any decision to purchase, rent or invest in property. Want the latest properties in Ciudad Quesada, Costa Blanca in your inbox?